For those interested in South American literature, this is a "tour-de-force". 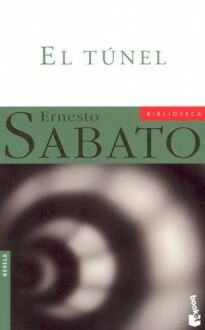 Clever and gripping from beginning to end, "El Tunel" reveals how an intelligent and educated man can be driven to insanity and even crime by his own doubts and the obsessive drive for the love of a woman. A bit at the limit of surrealism. Haven’t tried anything else by Sabato since. ***mi s-a parut putin la limita suprarealismului. n-am mai incercat nimic sabatian pe urma.